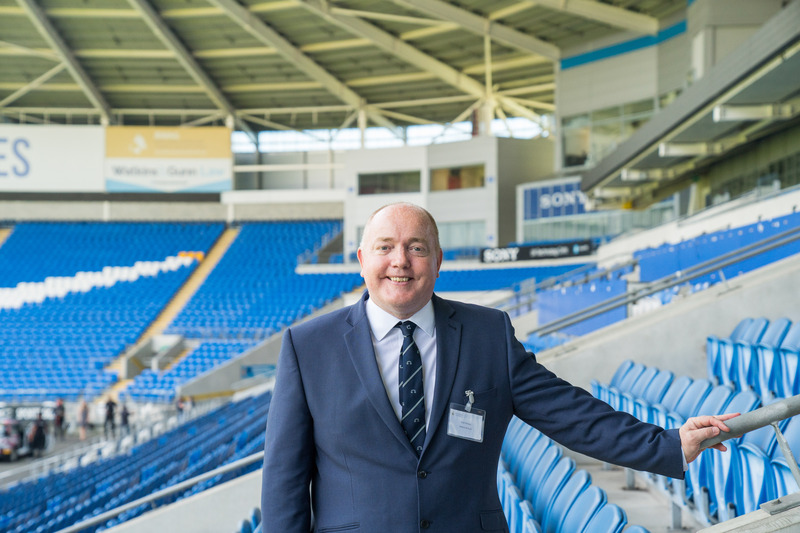 President's Report August 2018 - News - Cardiff & District Law Society. My Presidential year is now in full swing! My first event at the helm was our Managing Partners and Directors Lunch 2018. Thank you to all those who attended – it was a great turn out of the great and the good from the Cardiff legal world. The event was very kindly sponsored by Lloyd’s Bank & Legal Network Wales. Paul Maclusky from Lloyds and Nicola Watkins from Legal Network Wales gave very informative presentations. We also heard from two guests, Mumtaz Hussain, from the Legal 500, and Malcolm Davies of Welsh Government. We also heard from Charlotte Leyshon of Lux with special advance notice of the planned Welsh Legal Awards next year. It was also a great opportunity for me to launch the campaign theme for my year, #LegalCardiff. Cardiff has so much to shout about and we will be doing this through our #LegalCardiff campaigns to showcase what the legal scene and professionals have to offer. It’s a dynamic, and diverse capital city; Wales’s principal commercial centre and one of the UK’s fastest growing cities. Cardiff has been also recognised as one of the best places to live in the UK. Cardiff is also a city of sport - hosting major events and was the scene of great sporting success of our own last year - with Cardiff City, Cardiff Blues and the Cardiff Devils… we just need Glamorgan to step up now! In my view, one of the other major strengths of Cardiff is its legal community. It is something to be very proud of and an important contributing factor to the growth of the City. The excellence of the Cardiff legal sector rivals any other region of the country, and comes competitively priced and wrapped up in the positive and approachable attitude that lawyers in Cardiff display. So we want to attract clients to do their legal business in Cardiff. I am planning a series of events to promote and support the #LegalCardiff concept so please keep checking our events page on our website for more information and to book. The next event is on 4 October at Cardiff Airport. I have arranged a breakfast event to find out what is changing at the airport. Qatar airlines, Flybe and KLM will be there and also to discuss opportunities overseas that this creates for law firms in Cardiff. I also hope to have some Cardiff law firms show-casing their successes overseas. Cardiff is also home to world-class education facilities and universities, with Cardiff University a shining light as a Russell group University – an institution that has a fine reputation for its law degree and the Legal Practice Course. However, less well known is the innovation with regards to AI and legal tech courses going in in University of South Wales and Cardiff and the Vale College to - the LTC4 with legal technology core competencies and certification. The idea being that all legal professionals should be able to use technology efficiently. We are organising a course on legal tech, AI and digitisation before the end of the year. We will also be holding a number of Cardiff Legal Insights, beginning in September with an event in partnership with one of our annual sponsors, Penguin Wealth. We have also had two social events recently. A ‘more than sold-out’ cheese and wine at Madam Fromage in June - a great success. We also had a trip to Chepstow Races for a Ladies night in July. It was kindly sponsored by Legal Network Wales and Legalinx, who ensured that all those who attended had a lovely evening at the races and the feedback has been excellent from attendees. One firm even won a few referrals which we like to hear! I had the pleasure of attending the Monmouthshire Incorporated Law Society Ball in June. It was an excellent night, and I would like to congratulate its President Mel Bevan-Evans and all those involved in organising it. I have also had the honour of visiting the Estonian Parliament recently with a delegation from the Cardiff Law Society, including CDLS Secretary, Michael Walters and CDLS Council member Phillip Griffiths, Senior Clerk at 30 Park Place. We had an excellent meeting with Jaak Madison,MP and Deputy Chairman of the European Union Affairs Commission (more in another article in this issue). We also visited to the plenary hall – a highlight for me was being allowed to sit in the seat of the President of the Republic of Estonia! The story of Estonia and its successful fight for independence, which the nation achieved in 1991, is fascinating and truly uplifting. Grateful thanks go to Phillip Griffiths and his Estonian wife Annika for arranging the trip and being wonderful ‘tour guides’! As a final note, a reminder to save the date for an important event next year – the Cardiff & District Law Society Annual Dinner. Please add 10 May 2019 in your diaries for the dinner I will host at the end of my Presidential year – set to be even more spectacular than last year (if that’s possible!) as we return to the historic Exchange Hotel in Cardiff Bay. Tickets are on sale now via the events page on our website.